1. What are you doing next? The only thing retiring is the blog. I'm still agenting. KY is still chasing squirrels and Grandmother Snark is still blessedly unaware of Miss Snark's potty mouth. Please resist the urge to reveal all to her. 2. What about the blog? The blog will stay up. You can search the archives (most of the posts have labels now and google will turn up a lot if you use "miss snark" and "what ever you're looking for" as search terms). 3. We can still comment, right? No, comments are now off as of 5/22/2007. You can see the previous comments but you can't comment now. 4. Are you going to write a book? 5. Can I print up your blog as a book on Lulu? No. Please don't. If you want to print it out and put it in a pink unicorn binder for your own personal use, ok, but please don't turn it into book form or sell it, even at no-profit. 6. Was it something anyone said or did, and if so, can I kill them for you? No. It wasn't a specific event. The questions were increasingly ones I'd already answered or ones I couldn't answer. Managing the mail was actually more time consuming than the blog. 7. Are you alright? You're not sick or anything are you? No, I'm not dead, dying or disabled. I'm slightly dehydrated cause the outpouring of such marvelous comments and email and video and blog posts has been very very overwhelming, but you didn't make me cry, you didn't you did NOT. 8. 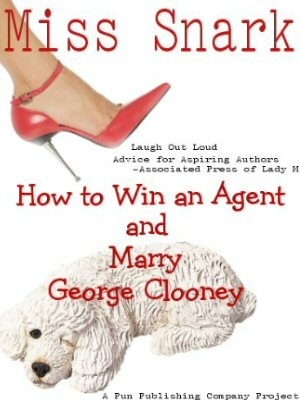 Are you marrying George Clooney?